Showing items tagged with "Reduce email overload" - 3 found. Is the writing on the wall for email? Several companies have now adopted writing as a way to reduce email overload according to a recent article by Emma De Vita in the Financial Times. One company now uses notices board to post project updates rather than sending endless email chains. From my own clients one uses whiteboards to post social and ephemeral notices such as ‘fire alarm tests’, ‘celebration cakes for tea’ etc. They have whiteboards placed strategically around the office and messages can vary depending on what specific groups are doing. One person said that an added benefit was how much you learn about what is going on in other parts of the department. One business avoids endless email chains by writing their comments on documents and proposals. Only when all parties have commented does the senior project manager then read the proposal. Other clients encourage people to rebuff requests to ‘send me an email’. Instead they tell the person making the request to take ownership and write down what is being asked of them. 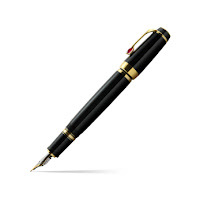 We are seeing a great resurgence in traditional writing tools such as pen and paper. 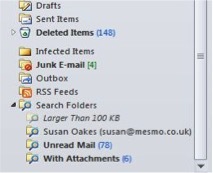 What novel ways such as these have you used to help reduce email overload? Email, with its myriad of features, functions, and capabilities, combined with its high volumes and constant interruptions, has become one of the most frequently used yet continually challenging business applications for today’s workers to navigate. So, what is the solution to managing email overload issues? My research has found that the key strategies to deal with email overload fall into three broad approaches: organizational, technical, and behavioral. 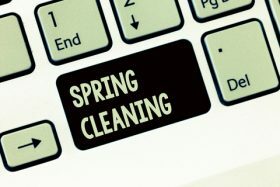 Organizational approaches to reducing email overload incorporate the use of acceptable use policies as a way to set organization-wide rules for the appropriate, and inappropriate, use of email. These approaches are also referred to as email etiquette or netiquette, and focus on teaching people to use email more appropriately. These can be employed differently depending upon the organization, ranging from being enforced as formalized policies, communicated as strongly suggested guidelines, or expressed as cultural norms of expected behavior. They establish a common set of values, expectations, and behaviors around the use of email, and work at the macro level, reducing the email overload burden for everyone. Technical approaches to reducing email overload leverage specific features and functionality in the email system itself as ways to reduce email overload. This approach has traditionally been the primary focus area for most email training programs with the goal on improving an individual’s fluency in the email system and thereby allowing people to use email more efficiently. Research has found that there is often little formalized training on the use of email, as most people are (incorrectly) presumed to already be email proficient. Even those who deem themselves email savvy are often only familiar with a small fraction of their email system’s features and capabilities. A technical approach can yield significant improvements in individual email skills, resulting in large reductions in email overload. For Outlook users, click here to check how savvy you are with your email software. Behavioral approaches to reducing email overload focus on improving the knowledge, actions, and behavior of individuals. This approach incorporates the areas of media competencies and email processing (triage) techniques and focus on teaching people to use email more effectively. Media competencies include topics such as when email is an appropriate (or inappropriate) form of communication, how to build high-quality email subject lines, and writing structured message bodies. email processing (triage) encompasses focuses on strategies on how to best scan, analyze, and organize your messages. Behavioral approaches, the way you interact with email, are critical to reducing email overload. Research has found that you must focus on improving skills across all three of these areas (Organizational, Technical, and Behavioral) in order to make the greatest improvements in your email skills and the largest reduction in email overload. Dr. Michael Einstein is a full-time business technology professional for a large multi-national corporation. His doctoral dissertation was on the intersection of email processing skills, email overload, and technology training. He is very active in email overload research. For more information see his recently launched website which contains a wealth of resources to help others learn to better manage their inboxes and reduce their information and email overload levels. "Monica was extremely knowledgeable and was a very good tutor/presenter."